In my back yard feeding a Eurasian Collard Dove and a White Winged Dove. Most of the many doves feeding in my backyard are White Winged. The Eurasian Doves are showing up in smaller numbers. We both did backyard birds today. 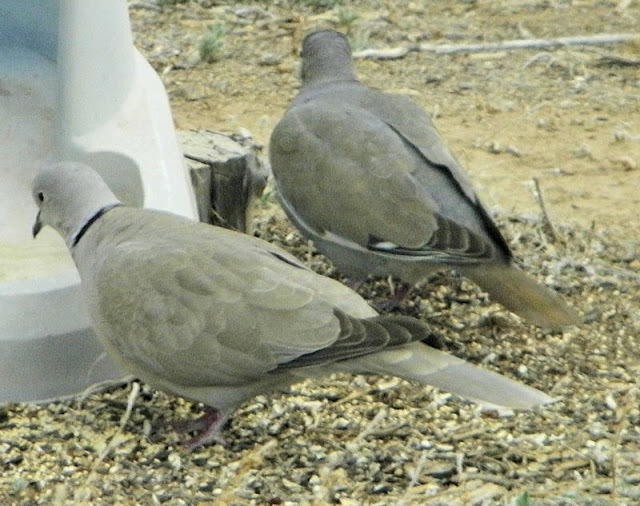 We have two doves that come around our yard too, not sure what kind they are.